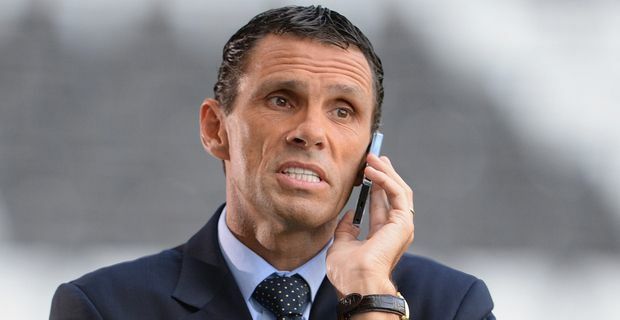 Sunderland have lined up Gus Poyet to succeed Paolo Di Canio as manager after the Italian's sacking last month. With a struggling team rooted to the bottom of the Premier League with just one point, Poyet faces a tough task to rescue the club from relegation. Poyet's most recent job was at Brighton where he impressed, taking the club from the lower reaches of League One to the Championship play-offs. He was dismissed at the end of last season after a falling out with the club hierarchy stemming from an ugly incident in a match against Crystal Palace. They accused him of "gross misconduct", a charge he vehemently denies. Poyet is a very ambitious manager and was considered for the Sunderland manager's job after Martin O'Neill departed last season. At the time Brighton wanted £2 million compensation though, which was a bit steep. Poyet has been hovering around, vulture-like, waiting for a Premier League opportunity to open up this season. "I planned that over the first matches of this season I would pay a lot of attention to the teams I thought could be in trouble," he said. "Of course I watch Chelsea, Arsenal, Manchester but there was a group of teams who, if they didn't start well, I thought I could have a chance. I was watching Sunderland a lot. People were talking a lot about them in the summer because of Paolo and how many new players they had. So I've seen quite a lot of them." That's handy. Poyet's first job will be improving team morale and putting a team together that is capable of picking up some points before Christmas. His second job will be compiling a shopping list for the January transfer window. His first home game at the Stadium of Light could be a daunting North-East derby against Newcastle on October 27.